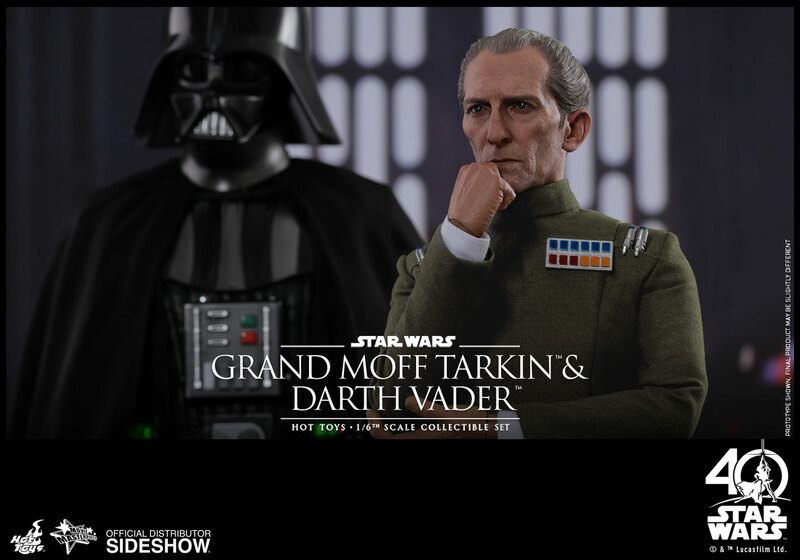 Wow, I have no other word that comes to mind when I see these two figures side by side. 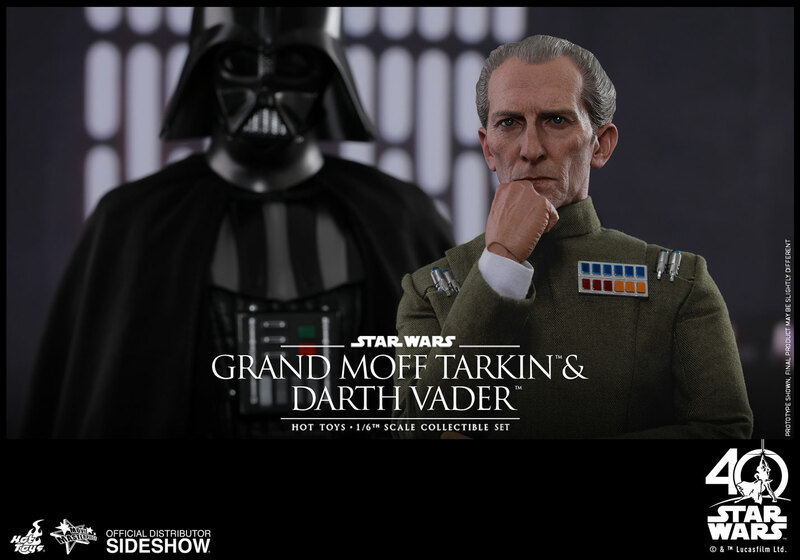 I have been waiting for a Tarkin figure for a long time and Hot Toys really really outdone themselves with him... and having a Vader/Tarkin double pack, WOW. 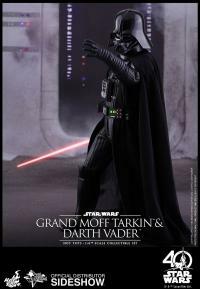 Vader look awesome as well !!! THIS is what a true Star Wars fan has long waited for. 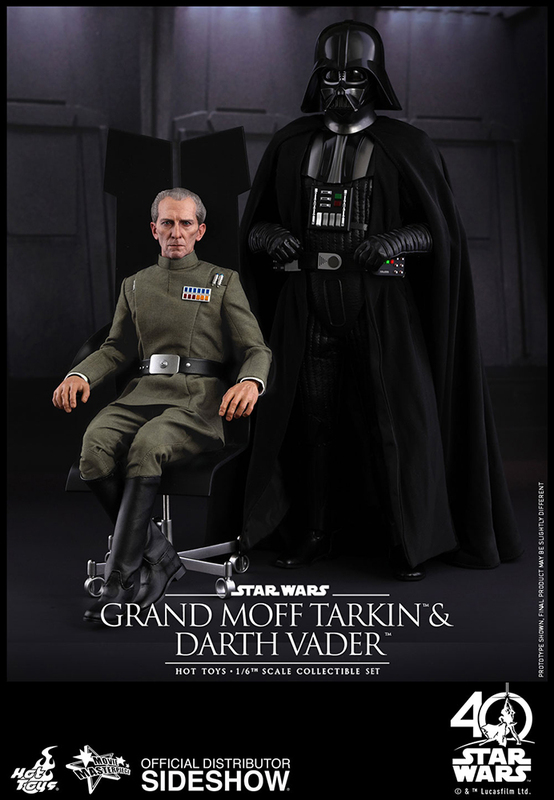 If you're an OT fan, this is the set you want to have. 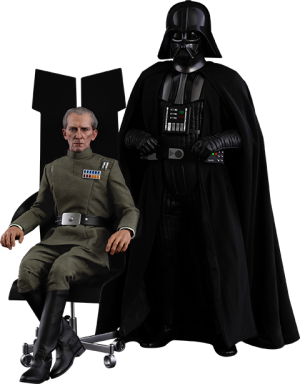 The Tarkin sculpt is STUNNINGLY life-like. Fantastic in every way. 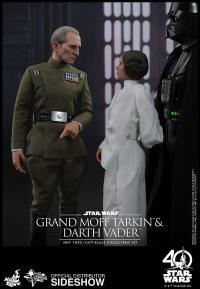 As for Vader, if you haven't grabbed one yet, grab this one. You won't be disappointed! 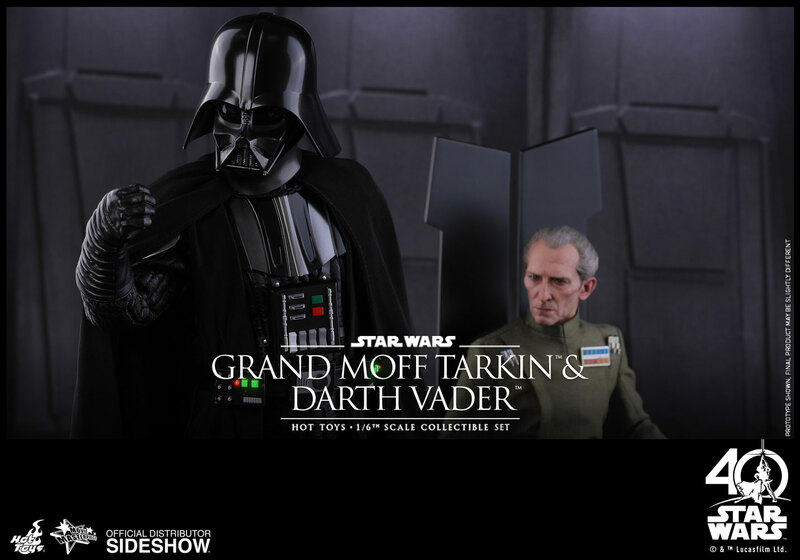 "I find you lack of faith in this set disturbing"
By far the best rendition I've ever seen!!! The sculpt on Tarkin is legendary. 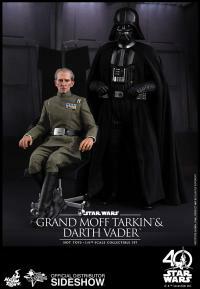 What comes with this set makes it well worth the price, and Vader....... What else needs to be said about Vader. Truly an amazing set!!! 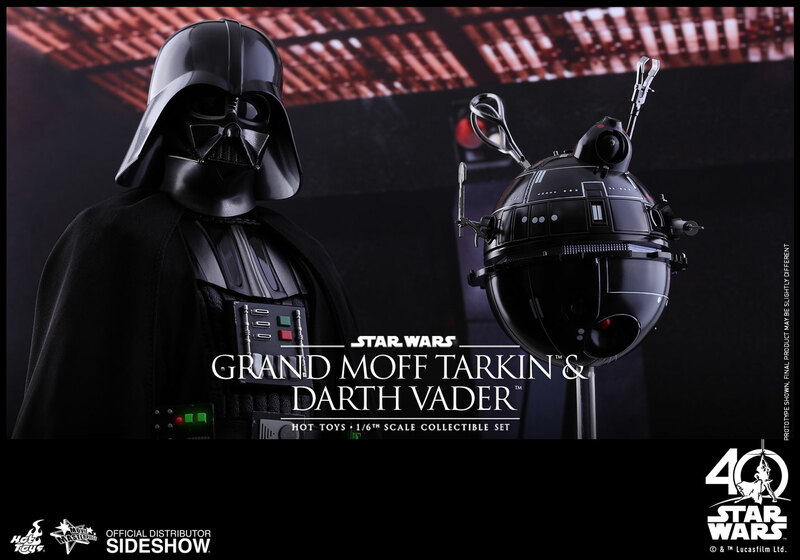 Hot toys you have knocked it out of this known galaxy. 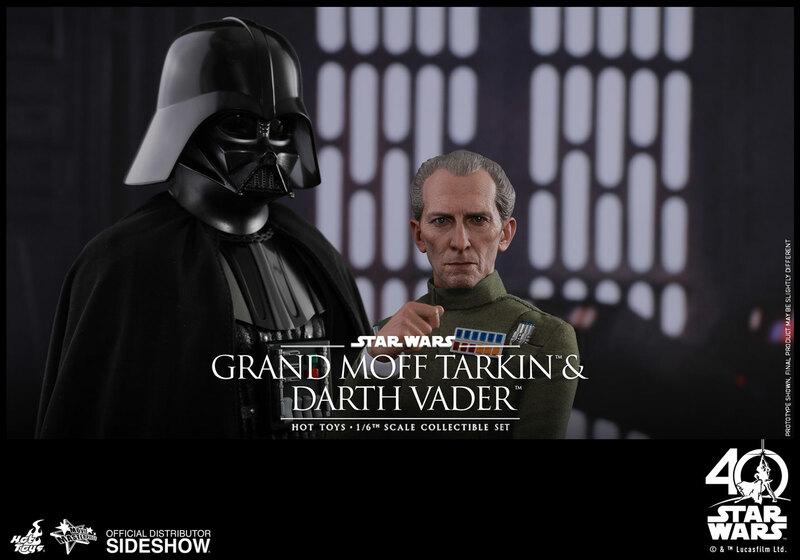 Vader & Tarkin together is a dream come true! 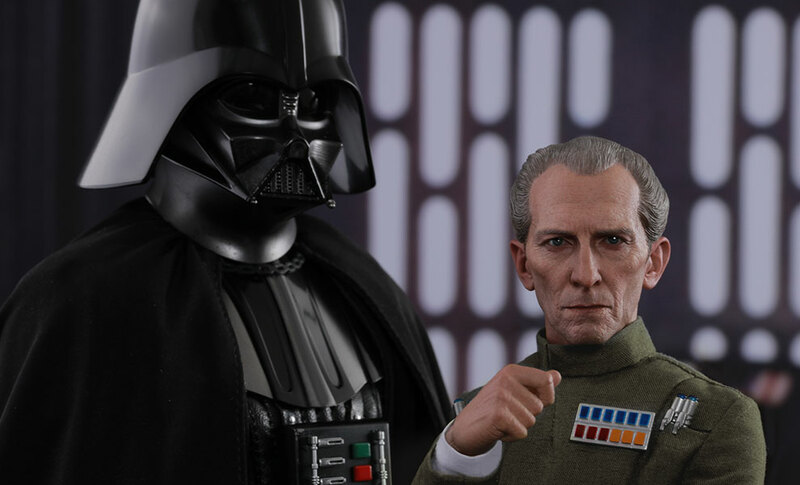 They nailed Tarkin likenes making it the ultimate tribute to the late great Peter Cushing. 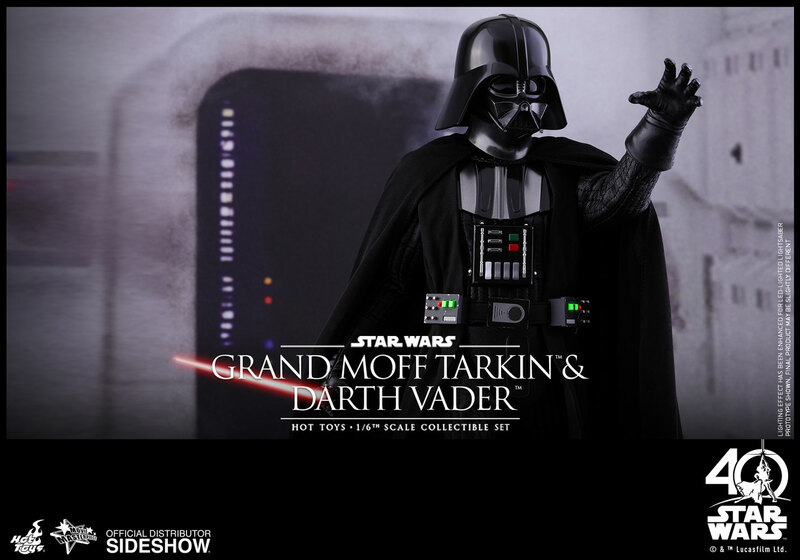 This is also my very first Vader and man Im glad I waited... 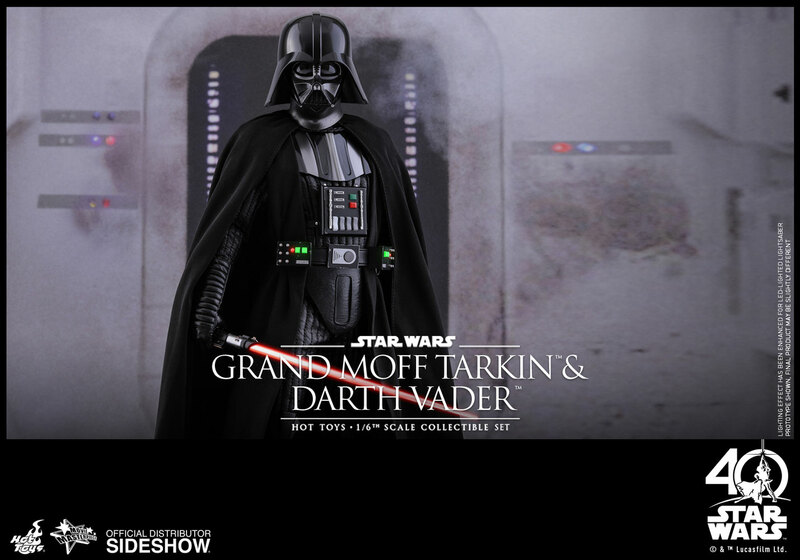 This is the Sith Lord version to own from the A New Hope 1977 Classic! Got my set today -OMG!! This is certainly the best 1/6 Vader I've seen yet .... and having Tarkin is such a bonus! 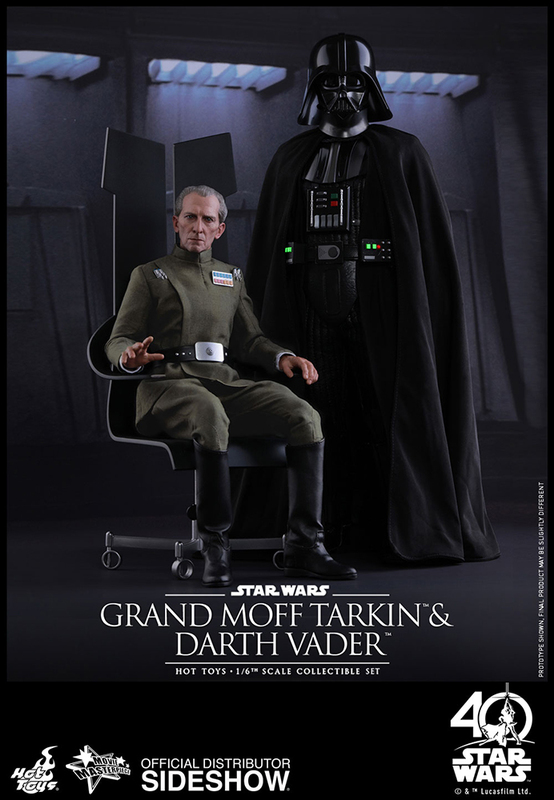 This is really up there in price, but once you open your box .... you'll see why. 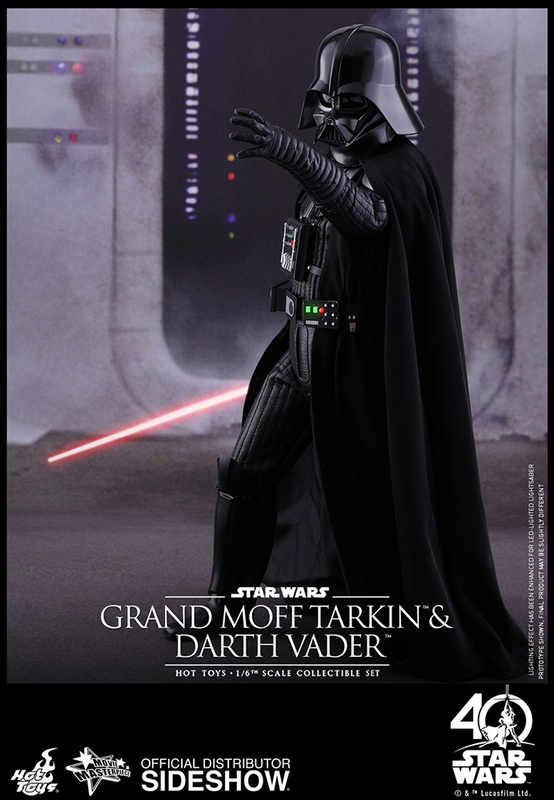 Box art is outstanding, and the Vader weathering is really great. 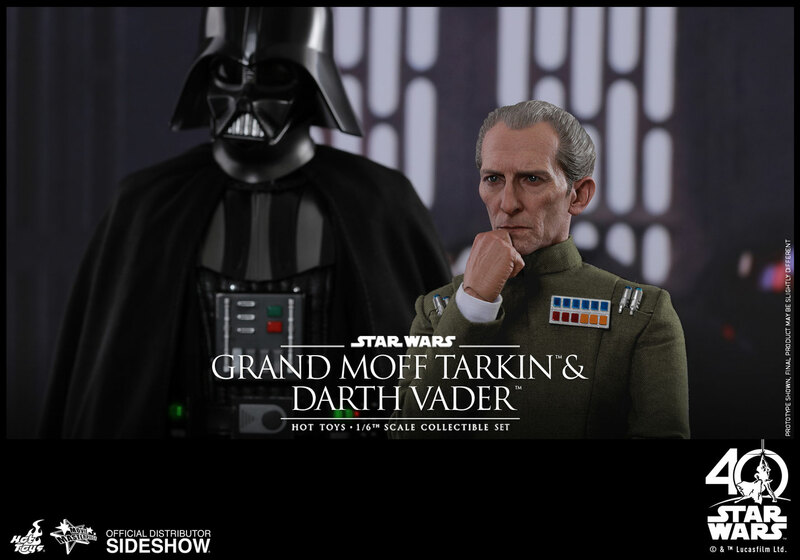 Thanks, HotToys and Sideshow!!! 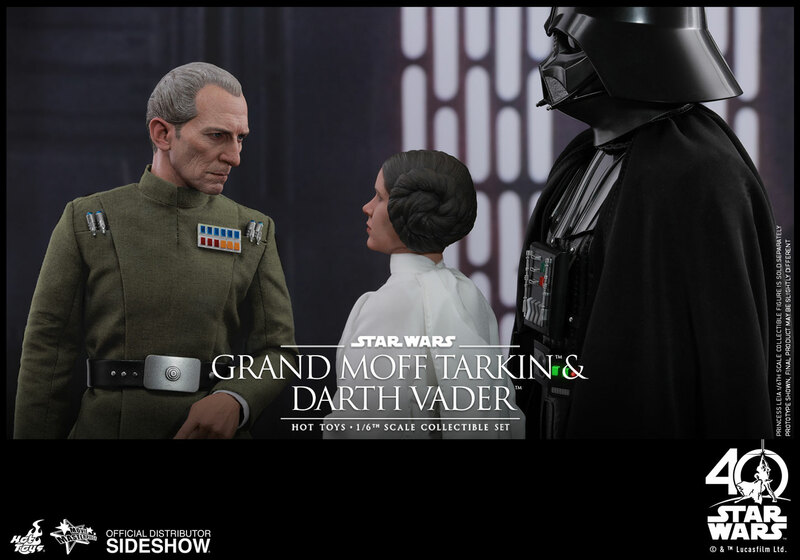 The detail on Tarkin and Vader are really good, and it is great to finally be able to recreate the scenes between the 2 from episode 4. 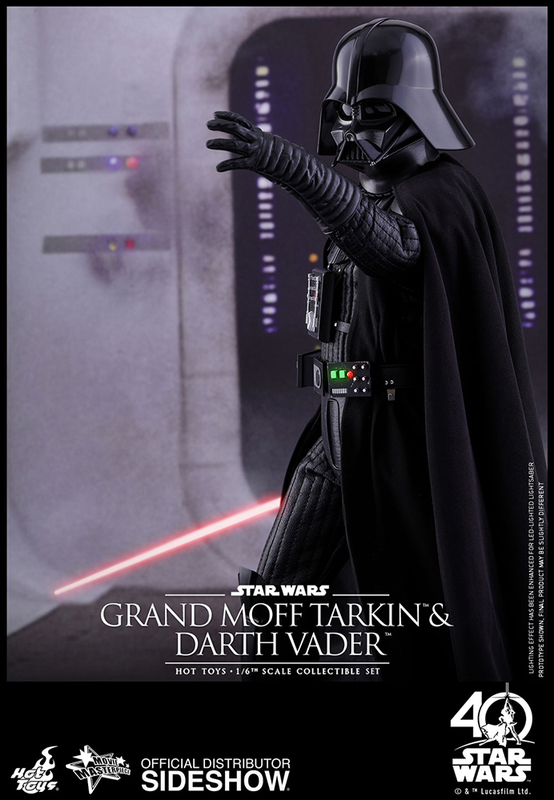 Overall, the product is spectacular. 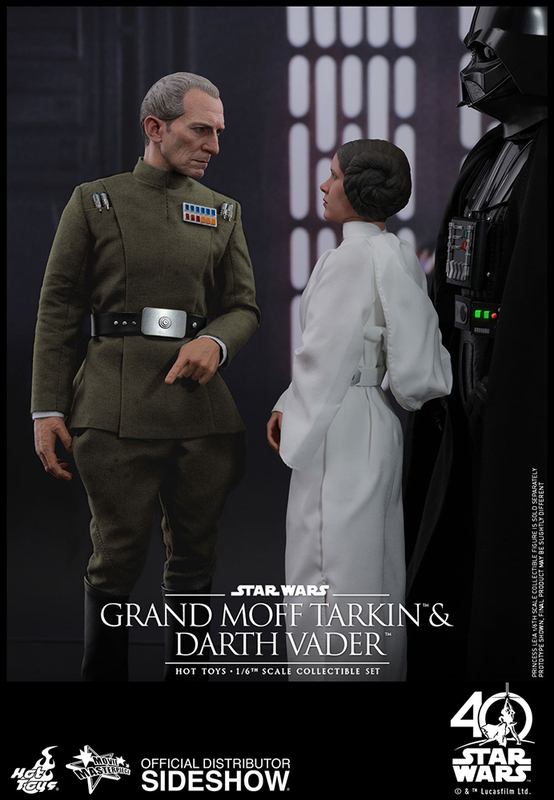 The detail is astounding, and the value it definitely there. 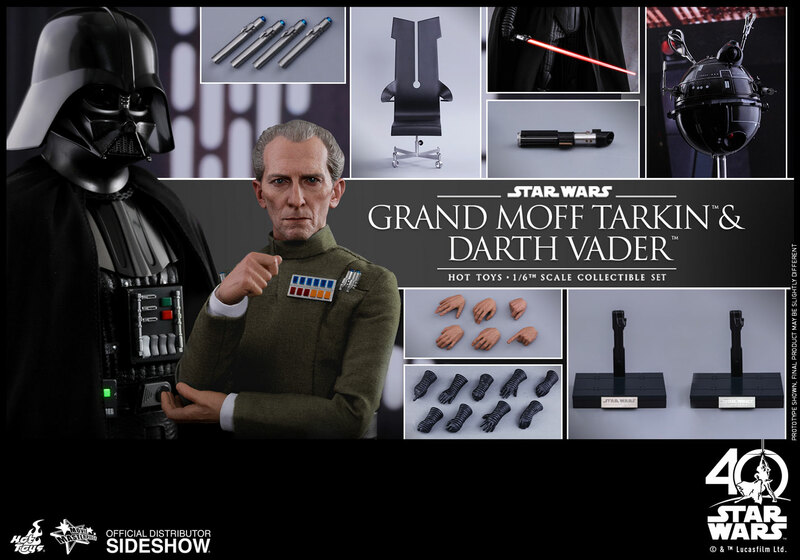 Only issue, which may come with any Darth Vader figure, the hand stubs get stuck in his glove, and unless you have tools to pull them out, you have the use the extras provided, to change hands.